Physical therapy is not always everybody’s first choice of treatment. Often, people who suffer from injuries or chronic pain prefer surgery to physical therapy, believing that surgery is a faster and more effective way to treat the problem. However, most primary care doctors refer patients to a physical therapist as the first course of action, because it is the least intrusive approach. Physical therapy helps people of all ages who have medical conditions, illnesses or injuries that limit their regular ability to move and helps them to return to their prior level of physical functioning. Physical therapy promotes wellness and teaches proper exercise. Physical therapy is educational. Unlike a WebMD article or an over-the-counter painkiller, physical therapists teach you how to properly care for your body and equip you with valuable information and tools. Patients learn how to exercise properly to avoid recurring injuries or worsening impairments. One of the key aspects of physical therapy involves assessing the weak areas in the patient’s body, and formulating a PT plan that helps strengthen these vulnerable points. 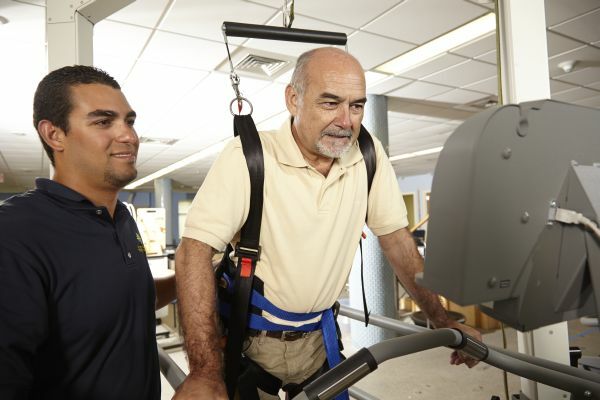 By recognizing the areas of muscular or skeletal weakness, a physical therapist can analyze how likely it is that a patient will suffer injury, and create an exercise regimen that targets and strengthens weak muscle groups and joints, thus preventing future injuries in these areas. Effective physical therapy not only helps you heal, but avoids injuries in the future. Physical therapy can improve balance and walking. Physical therapy can make you stronger, increase your mobility, and help you feel better. If you are recovering from an injury, it is important you gain your sense of balance to prevent falling or injuring yourself further. Physical therapists teach exercises that help improve balance and coordination to improve walking and other daily activities. Physical therapy helps patients avoid prescription medications. Just like you can avoid costly surgeries, physical therapy can replace the need to purchase and consume expensive prescription medications. Both the American Physical Therapy Association (APTA) and the CDC (Center for Disease Prevention and Control) both recommend physical therapy as an alternative to opioid prescriptions, especially when opioids are prescribed to mask pain, rather than heal the actual injury. Overall, physical therapy is a high-benefit, low-risk solution to diagnose and treat many different conditions. Please keep in mind that this list does not cover all benefits, and you should first consult with your doctor to find out if physical therapy is the right fit for your situation. Have you gone through physical therapy after an injury or accident? How long did it take you to bounce back? What tips and advice would you offer to anyone who plans to visit a physical therapist? Physical therapy changed my life. It really helped me get back on my feet after knee surgery for my torn meniscus. I’m glad that you explain how physical therapy can be used to help patients perform exercises regularly in order to prevent pain. If someone is considering this treatment, they’d probably want to meet with a physical therapist to discuss their situation. This could help them determine whether it can provide the health, comfort, and mobility benefits that they want while also giving them the chance to get to know the professional in order to determine whether they’re a good choice to help with their condition. Thank you for your comment! As we shared, physical therapy has some amazing benefits and a great physical therapist can assist with helping one get back to their daily routine. We hope your father decided to give it a try. Thank you for your comment! Yes, you are so right. It’s important for anyone facing pain or difficulty with mobility to seek help from a medical professional like a physical therapist.